The tiger is an amazing animal, but sadly there are already several subspecies that are no longer on Earth. They have become extinct due to loss of habitat and hunting. Tigers don’t get a good reputation when it comes to contacts with humans. In many cultures, killing them has occurred in order to preserve animals for villagers and to also offset the risk of tiger attacks on humans. Unfortunately, such hunting has resulted in some subspecies not surviving. Tigers eat large amounts of food, and they need a good sized home range to be able to do so. When their natural habitat is destroyed due to humans moving in, forests being cut down, and more then they can’t find enough food. This can lead them to try to survive in locations where you normally wouldn’t see them at all. There are three subspecies of tigers that are completely wiped out due to a combination of such factors. One of them is the Bali Tiger that once lived in Indonesia, on the Island of Bali. This was a very small subspecies of tiger with a weight of about 200 to 220 pounds for males and 140 to 180 pounds for females. The last known survivor of this subspecies was killed in 1937 and there aren’t even any in captivity. The Hindu religion of Balinese often refers to this tiger though still today. 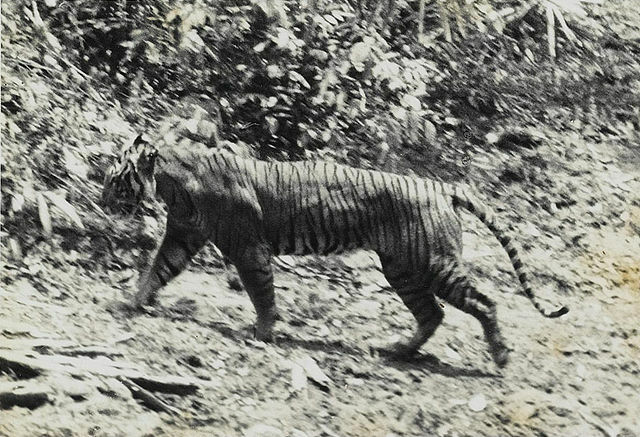 The Bali tiger was well known for fur that was shorter than other species. They had fewer stripes but they were a deeper and darker color. They were orange with black stripes and they often had small black spots between the stripes. On the head they had a bar shaped pattern. Unfortunately, they were documented in films or any recordings so all we have of them are photos and drawings. Another subspecies that is extinct is the Caspian Tiger. It was found living in the forest around the Caspian Sea as well as in locations of Central Asia. The last one was believed to be killed in the 1960 around the Manasi River basin. Some believe that one was killed in the 1970s in Turkey but it was never confirmed to be a Caspian Tiger or not. It may have been a tiger closely related to them. 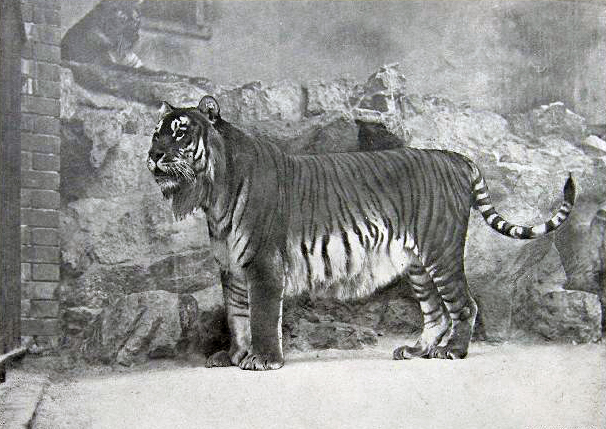 The Javan Tiger is also extinct, and it was once found in the Island of Java. It is believed they became extinct until the mid-1970s. This was a larger sized tiger with males averaging 220 to 310 pounds. The females ranged from 170 pounds to 250 pounds. There have been some reported sightings of them in the late 1980s but surveying efforts didn’t show any proof of them existing. A group of about 30 studies did tracking in 1987 and they did find tiger tracks around Meru Betiri National Park. However, nothing was found that could prove it was this subspecies of tiger that created them and no further investigations where done regarding it. It is too bad that these subspecies of tigers are no longer here on Earth. We have to think about the ripple effects that it will also have on the food chain and all living things The natural balance out there is very important. If we have learned anything from the fact that these tiger subspecies are extinct, it is that we should do all we can to prevent the same fate for those that do remain. Many of these species have very small numbers and they have lost a large portion of their habitat so conservation efforts have to be a priority. Hopefully, past mistakes won’t be repeated at the cost of losing any more of our tiger subspecies to extinction.